WESTERN MUSIC, both popular and classical, is haunted by the ghosts of its past. In Islamic Spain in the Middle Ages, Muslim, Jewish and Christian communities intermingled, each with their own distinctive musical cultures that influenced each other. As Western harmony blossomed over the subsequent years, much of that heritage was obscured, and yet it survives today. We can still hear the distinctive Sephardic scale - the "Spanish-Jewish" or "Phrygian dominant" scale, itself probably originally an import from North Africa - in modern klezmer in Eastern Europe and New York. And, though the Jews were expelled from Spain in 1492, it survives too as a variant in modern Flamenco - Spanish Gypsy music. So too have the asymmetric rhythms of that era - for instance, 9/8 (2+2+2+3) or 7/16 (2+2+3), or even more complex ones - migrated to the Balkans and Eastern Europe, where they form the basis of many popular dances today, in Bulgaria for example. THE MOORS were not trying to re-create the music of the past, or of other cultures. Our ethnic backgrounds are no more or less diverse than any in the British Isles today, but we are not Gypsies; we don't even have much Jewish heritage. What we were trying to do was create our own music, in the present, influenced not only by those remote musics but by more variegated elements: rock, blues, jazz, even Cuban son, free improvisation and English folk music. And people danced to it. 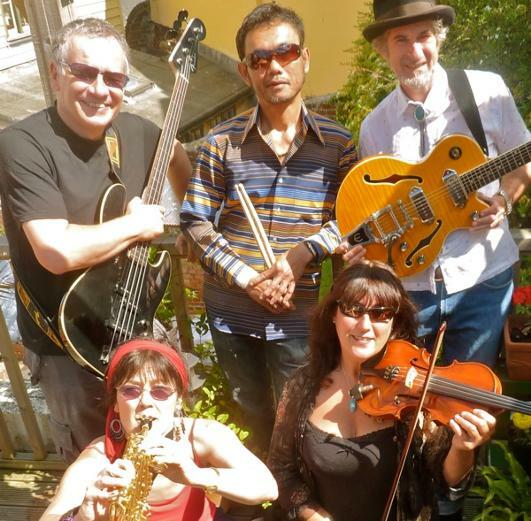 We have been inspired by the musical culture of Hastings Old Town. YOU CAN LISTEN to our music online at our BANDCAMP site. Our first EP, The Moors Are Here, is available as a free download. 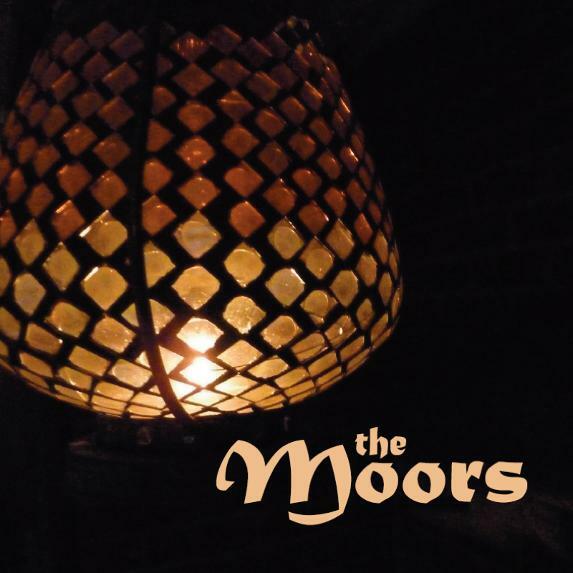 Our full-length album, The Moors, can be streamed free and purchased as a CD or download.